We just came back from a holiday in Australia. We spent most of our time in Sydney but we also took trips to both Melbourne and Tasmania. 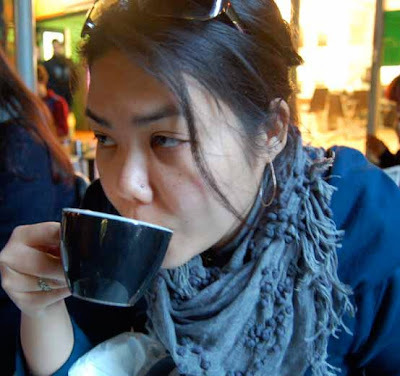 One thing we loved about Australia in general is their very vibrant cafe culture. My husband and I each had our fair share of flat whites and cappuccinos, sometimes even having 2-3 cups a day.We couldn't help it! The coffee was so good and the cafes were too irresistible. We were in Melbourne for only 2 days so we didn't really get to see too many things but one neighborhood we made sure to spend our time in was Fitzroy. Our Aussie friends told us that we'd definitely enjoy it there and they were right. Brunswick street is lined with cafes, galleries, restaurants and shops. It was easy to spend the greater part of our day in this area. There were also a good number of shops that sold items by local Melbourne designers and artists. We also paid a visit to the Queen Victoria Market. There was an abundance of fresh fruits and vegetables. We also loved walking around the wet market where they sold meats, seafood, cheeses and more. 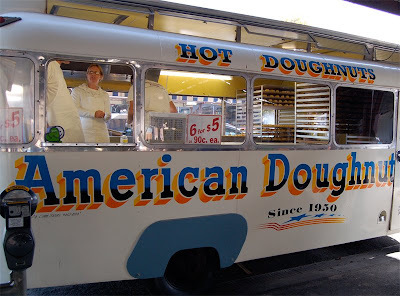 We also made it a point to make a stop at the American Doughnut bus! Yep, these 2 San Fransiscans traveled around the world to get american doughnuts. It was was really good!